I have seven ladies in my life who are expecting this year and I've had my eye out for adorable newborn/baby finds for gifting purposes. 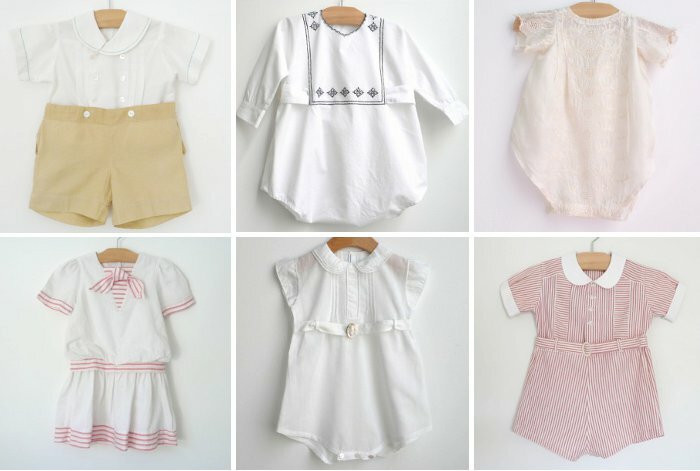 Belle Heir has a well curated collection of vintage baby clothing dating all the way back to the early 1900s. The selection above is just a few sweet offerings as Belle Heir offers up quite a collection of beautiful baby clothing.